An optimized air intake that brings the air into rotation causes lower air flow blockages and supplies more oxygen to the engine for a better ccombustion process which helps to reduce the fuel consumption. In average reduction of diesel consumption by about 3%, an average truck with 150,000 km annual mileage saves about 1,500 euros – every year! 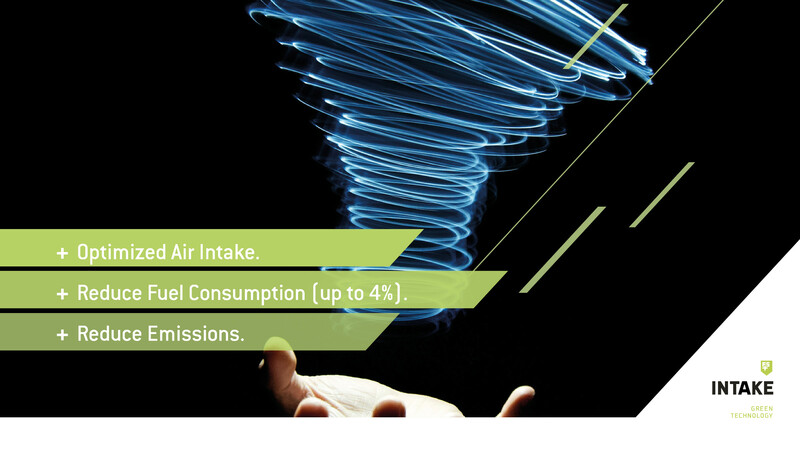 FS INTAKE+ is not only economically attractive but also reduces the emissions produced. This also makes your business more attractive and environmentally friendly. 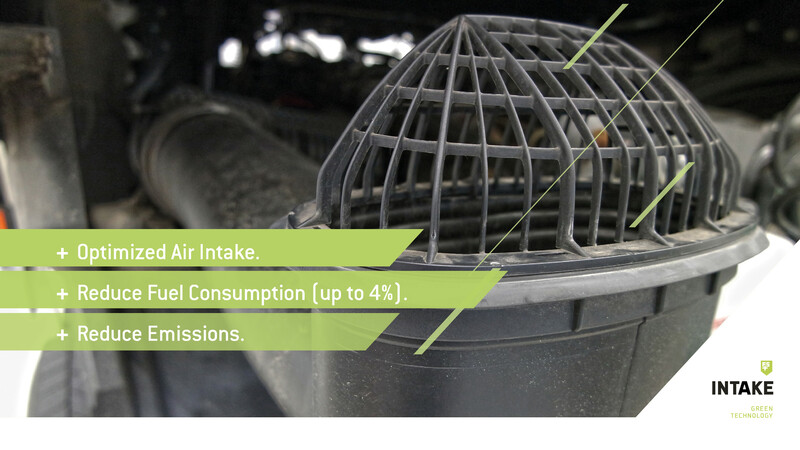 The investment in FS INTAKE+ pays for itself through the savings in fuel consumptions usually within the first 12 months.